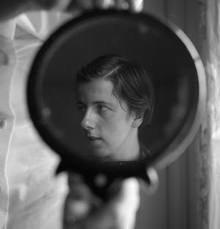 Please join us for a special evening showcasing Vivian Maier’s images of Chicago’s south side and rare 8mm films. Vivian Maier made an estimated 140,000 photographs, the vast majority of them in and around Chicago, as well as 8mm color films whose compositions echo her still images. “Vivian Maier’s South Side” will include a fascinating film she made of historic Maxwell Street life, as well as portions of films she shot in the Chicago Loop. Media specialist Mike Bullis has assembled a special selection of Maier’s photos of the South Side from the Jeffry Goldstein collection, and South Side Projections will present this along with a short film by Bullis and Chicago filmmaker Tom Palazzolo examining Vivian Maier’s life and legacy to provide context for the entire program. Bullis, Palazzolo, and Malagrino will offer commentary and insights into Maier’s work throughout the program.